This Sarah Chloe ring boasts your initial in shining gold vermeil. 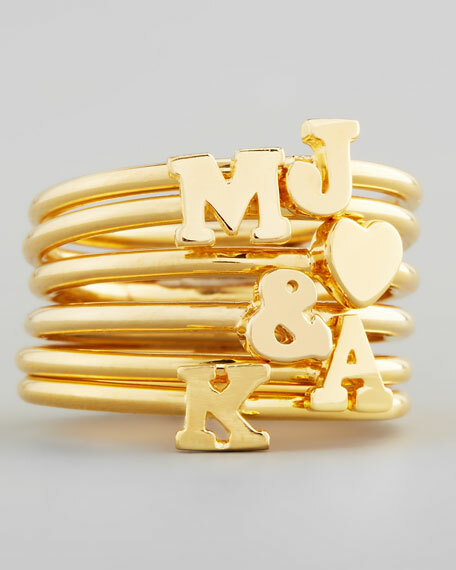 Stack it with several or wear singly. Letter of your choice, 5mm. For in-store inquiries, use sku #277273.